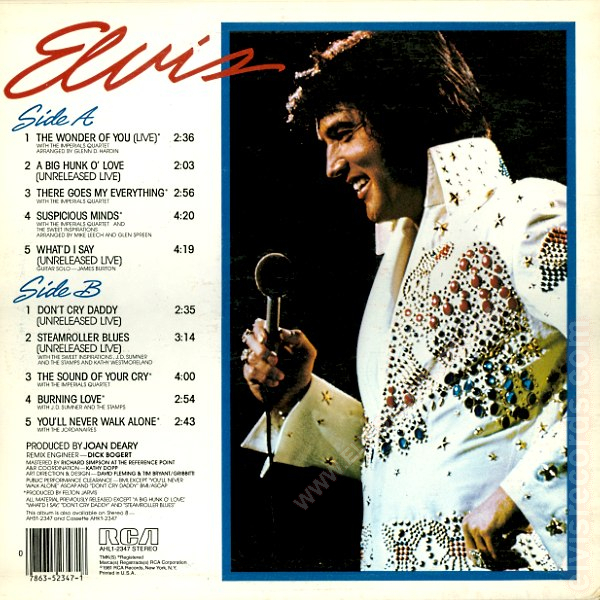 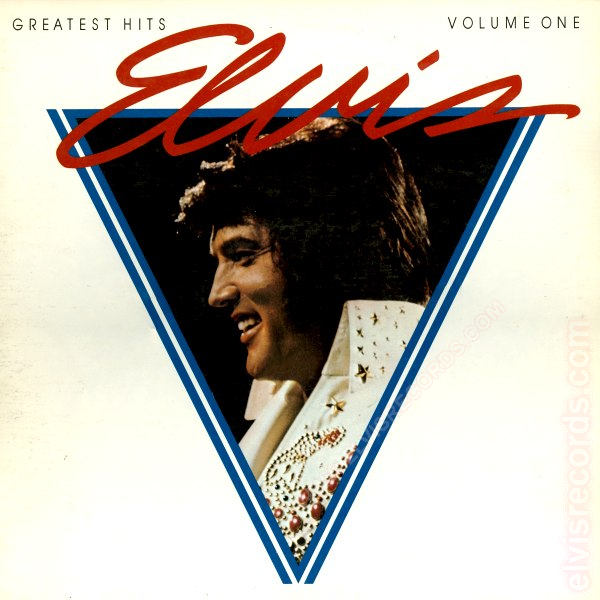 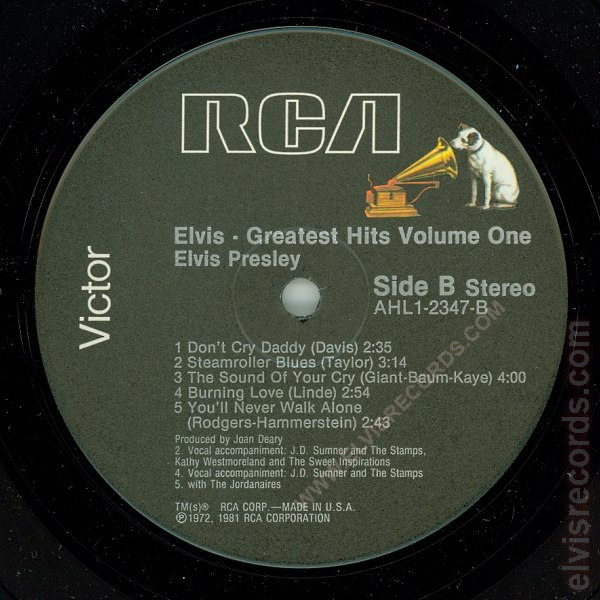 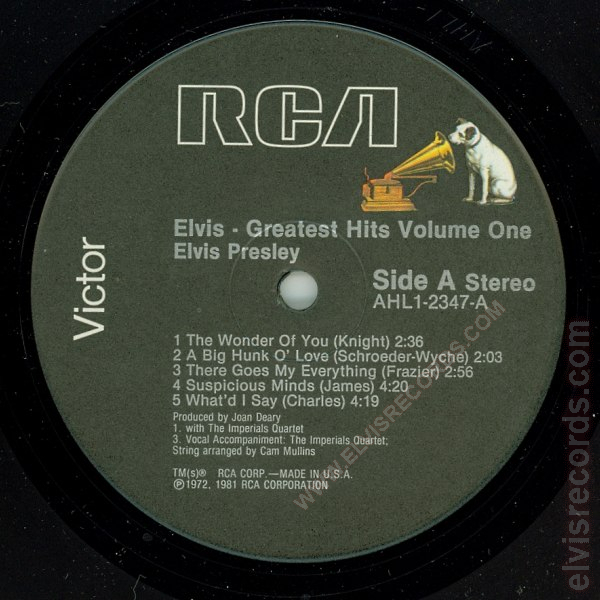 Cover Front: Elvis in red letters over a triangular shape of Elvis. Title upper right and left corner. 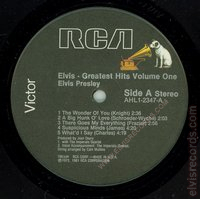 Cover Back: UPC, RCA, catalog number, and copyright lower left corner. 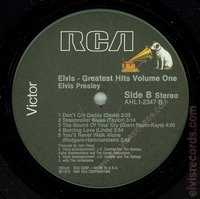 Proposed release AFL1-2347 Greatest Hits, Volume One in 1977.